Market harbour information in Mooringo app. Display harbour bookable vacant berths. Show destination events and local businesses nearby. Rent out member’s berths when they are away. No binding contract – no risk. Mooringo takes care of everything. Together with the harbor office, we set up any number of berths for rental via the Moorigo Marina web application. This can be altered at any time. Tenants can be involved to participate with making their berths vacant if required. Instantly, real-time vacancy is shown in Mooringo’s mobile app to all boaters seeking destinations to visit and book a berth in advance. For all types of harbours. In summer many harbours are empty when tenants are away. Mooringo is an automatic guest harbour system to make use of this vacant space. Harbours can mark their individual berths vacant so that visitors easily can find real-time available berthing and pay in advance for overnight stays. No staff needed. Any boat club, marina or privately owned buoy can join Mooringo and attract guest boats. Even seasonal berths can easily be rented by allowing members to handle their own berth calendar. Mooringo is a complete marketing system for the entire destination where the marina can easily display information, local events and surrounding attractions. The port can expose vacancies and receive paying visitors without extra staff. Boaters find the marina, book and pay for free berths directly in the Mooringo app when looking for attractive destinations. All booking information is sent to the harbour and money for bookings is transferred to the harbour’s bank account. 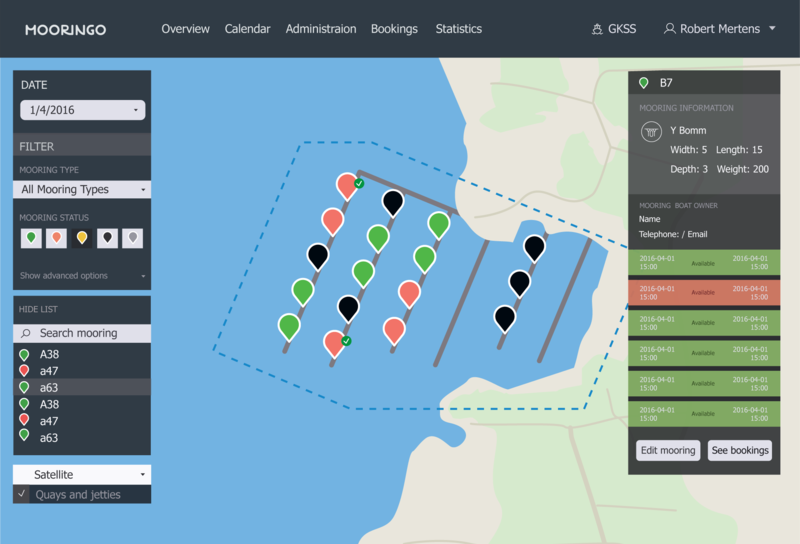 The harbour is marketed and can automatically direct boats to correct berth and receive payments from guests without involving harbour staff. The harbour master gets a good overview of vacany and booking status in the marina. The marina can choose to have all their vacancy available in Mooringo or just a few and it is possible to increase or decrease the number of bookable berths at any time. 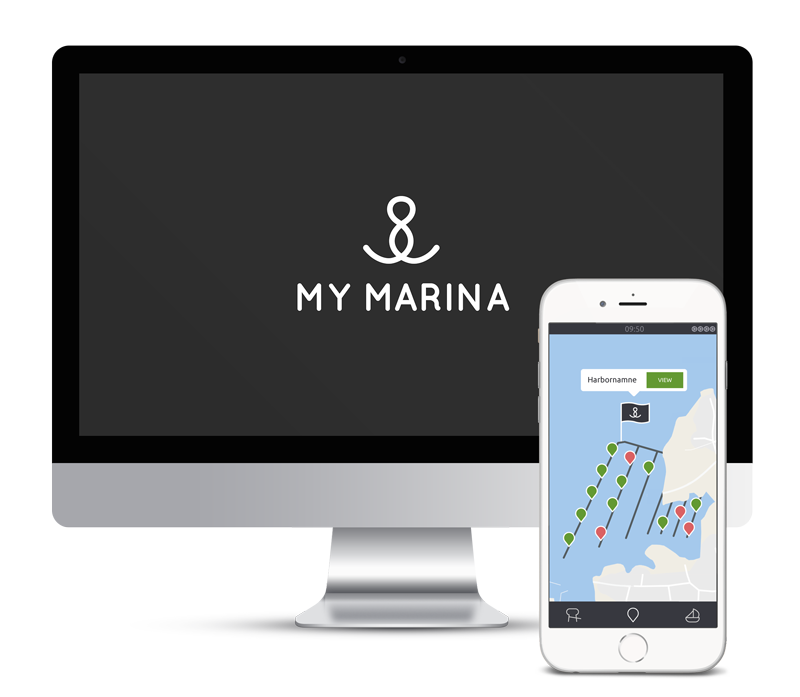 The Mooringo Marina is web-based and can be used anywhere. Mooringo helps with all setup and thereafter the system manages more or less by itself. We just need to hear from you so we can help you expose the destination and vacant berths that your marina wants to show up to attract thousands of boat owners who are looking for destinations. Free digital marketing and booking system! It is free to use Mooringo digital platform. We make money by adding a service fee of 10 % on top of your price to provide boaters the service to find and book real-time vacancy in advance. In this way, Mooringo increases the quality of boating holiday and reduces the stress with uncertainty of destination vacancy. Full statistics on transactions for every single berth. Involve own members and tenants to display their berth vacancy. No staff needed. Get your members and tenants to run the business. * Mooringo charges a transaction fee of 3 % for paid Mooringo bookings to finance credit card payments and money transfers to the harbour. ** We give away free nights as reward to members or tenants in your harbour who are helping you display vacancy and attract visitors without the need to involve staff. Start by creating your harbour master account. You will receive an email with further instructions. I accept the Mooringo Terms of Service. Your user has been created. We have sent you an e-mail with your password. Use your email adress and password to log in and create your harbour. 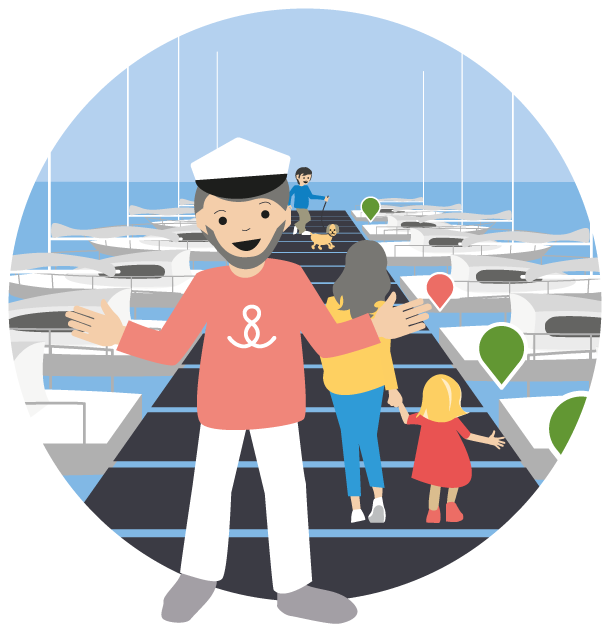 Why use Mooringo's guest berth system for our harbour, marina or yacht club? You can register vacant berths, make them bookable and get payments straight to the harbour account. You get free marketing of your marina. Everyone who has the Mooringo mobile app will be able to see your guest berths. How do we get berth holders to use Mooringo? To get the most out of the system, it is best if all of your berth holders use the system. This is where they set their berth as vacant when they go to sea. It is up to you as a harbour master to motivate your berth holders to use Mooringo to set a berth as available for guests. Since they do not directly get any part of the rental fee, our Fidelity Program rewards your users offering awards like free berths in other ports if these latter publish their available berths. Do we need to make all berths in the harbour bookable? Today more and more boat owners want to pay harbor fees electronically so they don’t need to search for personnel at the marina. Also many boat owners do not carry cash, despite the fact that several smaller harbors still use it as the only payment method. Our harbour cannot offer all the facilities such as showers, electricity or garbage cans — can we still register our berths? Our harbour has locked gates. Can we still join Mooringo? How is My Marina different from other system like green and red flags? With Mooringo My Marina, boat owners will know in advance if the harbours have free berths. They don’t need to arrive at the harbor in order to find out if there are any berths marked as green. Furthermore, both harbour master and berth holders may adjust the availability of berths without being in the harbour and physically marking each as green or red. The booking systems available today are only used by a few selected guest harbors with dedicated visitor berths. With Mooringo, any berth or mooring can be rented, giving a variety of options to boat owners on holiday.